I’m still learning how to run this blog, and it will take a bit to get in the groove of things. I’ll still have Mud Show Mondays (hooray!) but I will also post book reviews at other times during the week. Mondays will now be reserved for the books I enjoy the most. Sunday reviews will be reserved for books with a christian influence or message. I have joined BookLook Bloggers, operated by HarperCollins Christian Publishing, and the books I receive from them generally have a spiritual message, but not always. Sometimes the books are simply kid friendly texts published by a christian publisher. There are angels throughout the Bible. Some appear with song and trumpets, while others are peddlers on the road. This storybook brings to light all that angels have done for many important figures in the Bible. With a message that angels are all around us, the text carries the reader through various Bible passages where angels acted on God’s behalf to bring his love and guidance to the people. 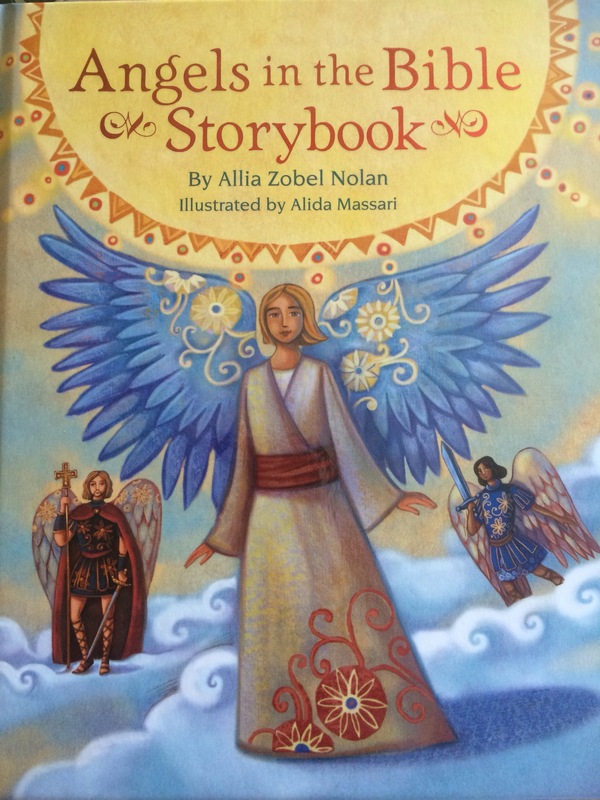 “Angels in the Bible Storybook” written by Allia Zobel Nolan and illustrated by Alida Massari retells the Bible with an emphasis on the actions of angels, in a beautiful and loving way. The illustrations are absolutely gorgeous and bring to life the stories from the Bible. Each passage used in the book has been carefully paraphrased by the author. The passages selected are interesting, as some may be lesser known to children. The text is perfect for beginning and early readers to grasp many pivotal stories from the Bible. The book itself is heavy and solid with a beautiful cover illustration. Overall, this is a treasury of stories and illustrations, sure to delight both children and adults. Willie Walrus is bored! He wants adventure in his life. When he hears about danger in the Big West he’s ready to go, and then Octopus shows up on his doorstep asking for help. Willie must go, of course! The citizens of Big West are glad to see him, until Old Walter rolls into town. When the citizens tuck tail and run, will Willie have the courage to face Old Walter on his own? 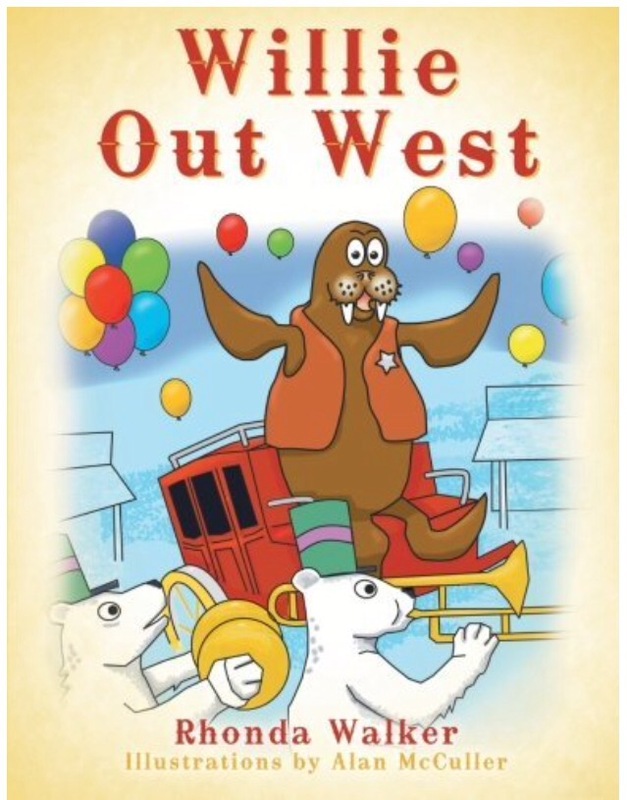 In “Willie Out West”, writer and illustrator Rhonda Walker combines two of kids’ favorite things, animals and the wild west. Children will enjoy the illustrations and the Octopus with a spur on each tentacle, but the story itself falls a bit flat. The text is too wordy for the book’s intended audience of beginning readers. The plot itself will also leave more questions than answers and the ending is less than satisfying. Also, I was expecting a christian message as this was advertised through a christian publishing company, but there is no clear christian or religious theme. Children who enjoy pictures of animals decked out in wild West gear will enjoy this tale. They might have fun making up their own story about Willie Walrus in the Big West. Thanks for reading and come back tomorrow for a Mud Show Monday!